We at Texas Made Air Conditioning and Heating want to hear your opinions about the products and service we offer in Granbury, TX and surrounding areas. The heart of our company lies in the experiences we make with you, so we commit in giving you only quality outputs. Please take time to visit our page and leave a company review to help us improve our products and services to a whole new level. We appreciate your concern in helping us become the better version of our company. Ryan did a very professional job. Highly recommend this company. Excellent work performed by a very professional Service Technician. Highly Recommended! 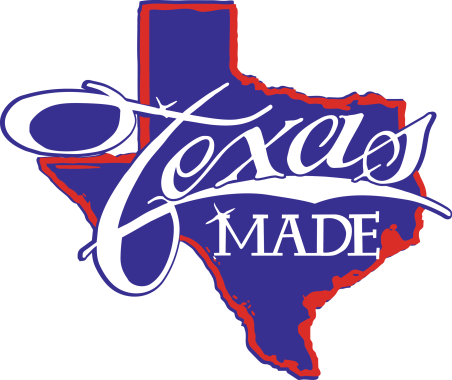 The Texas Made Rep was quick,experienced and responded to our questions and needs rapidly. He was able to accommodate our unexpected schedule change with understanding and performance to complete the job. Arrived 20 minutes ahead of schedule!! The two gentlemen were professional and worked well together. They were knowledgeable and skilled in their craft. Very pleasant to be around and patient when questions were asked. Techs were professional and knowledgeable about the problems with my heat and a/c unit. Ladies in the office we’re polite and helpful. Jaden showed up at the designated time, was very courteous and professional. He and his partner worked to complete the job and clean up as quickly as possible. They insured everything was working properly before leaving. They did a very nice job and I was comfortable leaving them alone to do their work. Replacing 2 ripped up ducts for a family in Granbury, TX. Servicing an Air conditioning system that will not come on for a family in Pecan Plantation. 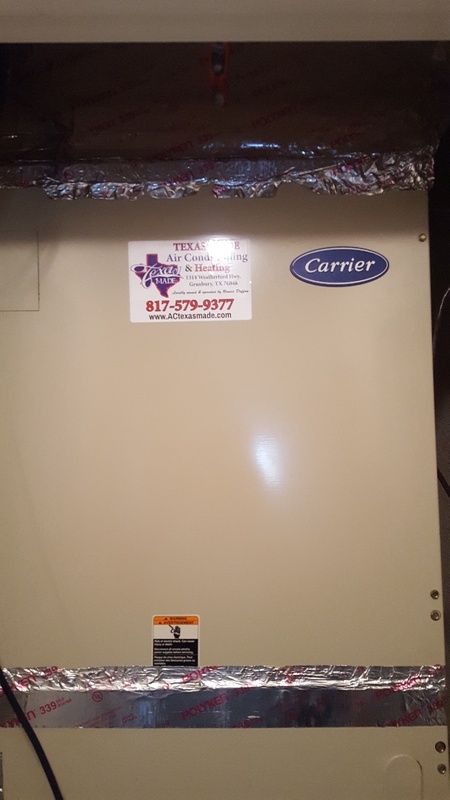 Performing a service call for a residential Carrier heat pump system with a low voltage short for a family in Granbury, Texas. 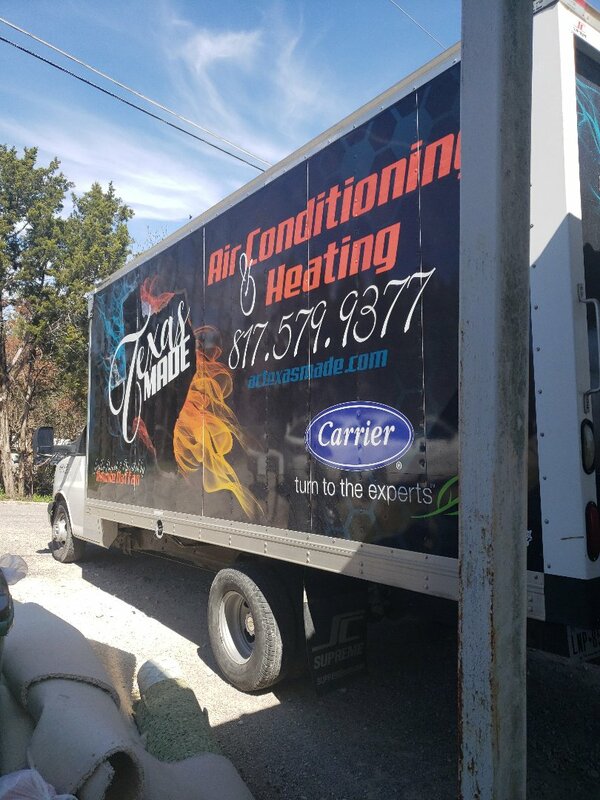 Performing maintenance on 3 zoned gas furnaces for a family in Granbury,Texas.